Want to try and vary my posts a bit so today I'll be writing about my favourite concealer! I have tried a ridiculous amount of brands and types of concealers. I either find they are too drying, don't last long enough or just don't have a good enough colour range until I found this one...Urban Decay's 24/7 Concealer Pencil, can't even remember how I stumbled across this but I am SO glad I did. 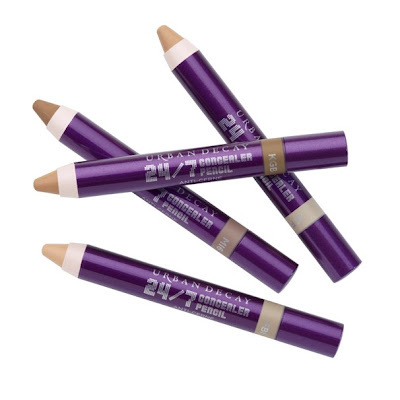 It is a pencil concealer that covers blemishes and can cover under-eye dark circles when you've had a heavy night (always handy!). The concealer has a really creamy consistency which for me is really important, it glides on effortlessly and blends in so well, but then dries matte and stays in place for hours! I really like that it's in a pencil so you don't have to flaff around with an applicator or pot etc, just pop the top off and that's that! 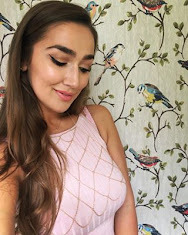 It also means it's really easy to apply precisely and can be used on blemishes or blended into larger areas of skin, for example, I have reaallly rosy cheeks and usually want to neutralise that a bit so I can put blusher on my cheeks where I want it or so I can contour better with bronzer, so I draw a few lines on each cheek after foundation and blend it in. All you need is a big eye pencil sharpener as it does need sharpening every now and then! The concealer comes in 8 shades which I think provides a good range and my best match is FBI. It is £12.00 which is obviously more than the high-street brands in Boots but I think its well worth it and you get what you pay for! I haven't photographed my own one because I need a new one soon and it doesn't look as pretty as it once did! Image from Urban Decay website. £12.00 from Urban Decay counters. I got mine from House of Fraser here. Have you tried this? What are your favourite concealers? !